Good news for foot peel fans. And there are a lot of you skanky-trottered types out there, as the response to my last post on foot peels proved. People were sending me pictures of their feet and everything. Bleurgh. Bagsy not being me for a bit. As we noted at the time, the only foot peel brand currently widely available in the UK is Footner. But they charge £20, and we need that money for gin, to blot out the memory of our hideous feet. 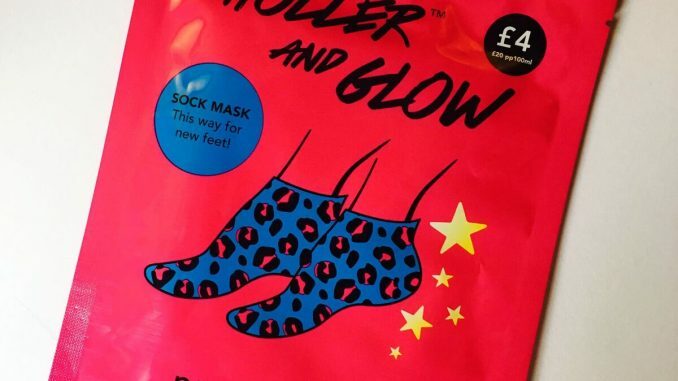 Now you can have scabby feet AND be a kickass bargain hunter at the same time, as new Korean foot peels have just landed in Primark. They retail at the much more affable price of four measly quid. I bought the one above in Primark Brighton. There weren’t too many left on the shelves. Never underestimate the stampede of people desperate for great big sheets of scabby skin falling off their feet. 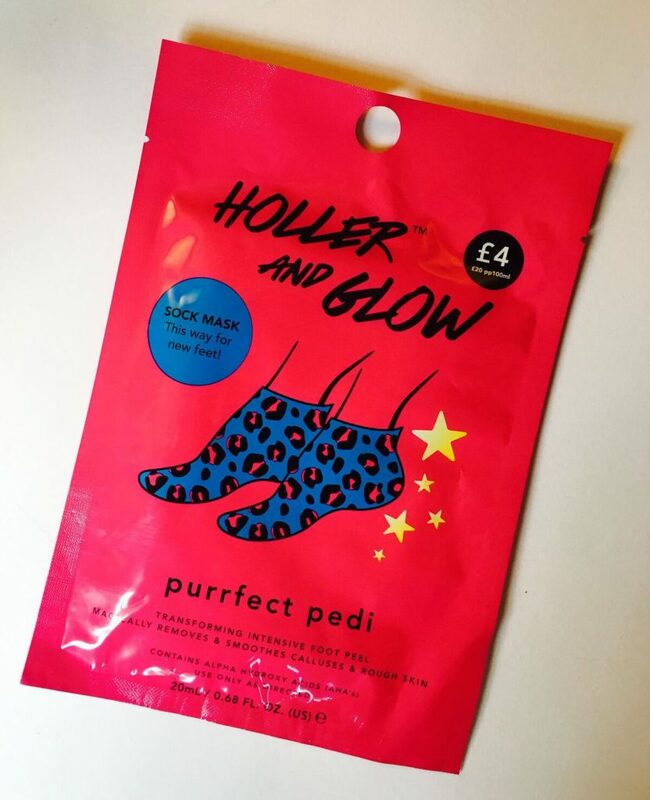 This is part of the Holler and Glow range, available exclusively at Primark stores. The range also includes facial sheet masks in fun packaging. If you’ve always hankered after a printed rainbow unicorn’s tail tickling your nose, these are the sheet masks for you. Blue and pink leopardskin! Not exactly a well-known offshoot of the leopard family but I really want to meet those guys. The packaging says that this product is made in Korea for a UK company, so you would hope that it’s as good as a regular Korean foot peel. It contains the usual mix of glycolic, lactic and salicylic acids which foot peels use to get rid of hard skin. Since I’ve just done a peel and it’s not recommended to do another one within 28 days, I’ll have to wait to try this out. So let’s not get ahead of ourselves, it could still turn out to be crap. But I’ll update this post when I do and let you know exactly how much toe dandruff I’m shedding this time. It took me a while but I finally used it and, let’s not beat about the bush, it was crap. There was barely any liquid in the boots, and two weeks in, I’ve seen virtually no peeling. This was my first peel of the year, so there should’ve been plenty of foot cheese for the acids to nibble on, but no. The scabby foot dandruff is the best part, so I feel quite cheated. Sorry there’s no happy ending (unless you are a member of my family who has been saved the task of hoovering up the foot dandruff everywhere I walk. You are the only winner in this sorry scenario). If you want some recommendations for foot peels that actually do work, check out this post here.